For a start, we established a 10 Gigabit per second (Gbps) backbone ring throughout Greater China’s major cities. A further two points of presence (POPs) are planned for Silicon Valley in the US and Frankfurt in Germany to meet the future needs of carrier-grade and global enterprises. This will bring the total number of Internet and network POP cities to 59 in the near future. Our 10Gbps backbone ring links Greater China’s tier-1 cities. We now run more than 200 POPs in 57 Asian cities. Two new POPs are planned for Silicon Valley in the US and Germany’s Frankfurt. Our efforts also facilitated ultra high-end carrier-grade connectivity throughout key Asian data centres. This enables DYXnet customers to deploy layer 2 or 3 service portfolios on an unprecedentedly stable network, while enjoying shorter provisioning times and cost savings of up to 50%. 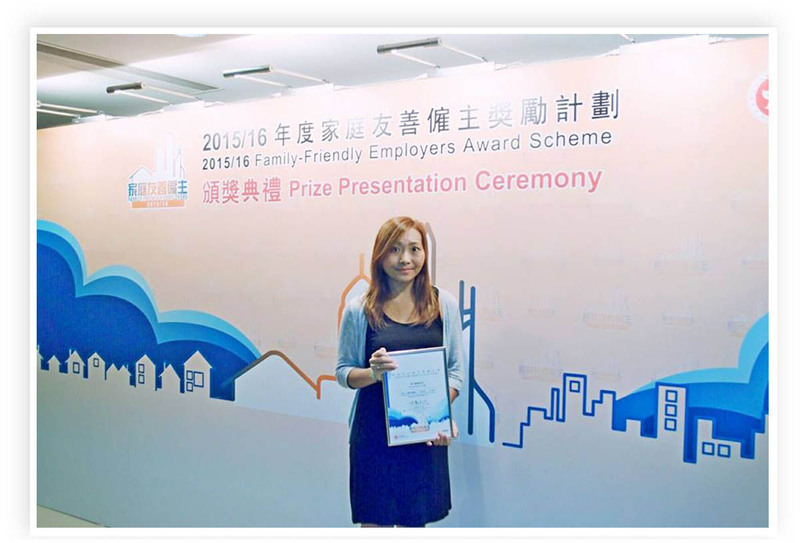 Year 2016 also saw recognition from the Family-Friendly Employers Award Scheme run by the Hong Kong SAR Government’s Home Affairs Bureau and Family Council. Their aim is to spotlight organisations like ours that nurture a pro-family culture and contribute to Hong Kong via positive relationships with employees. 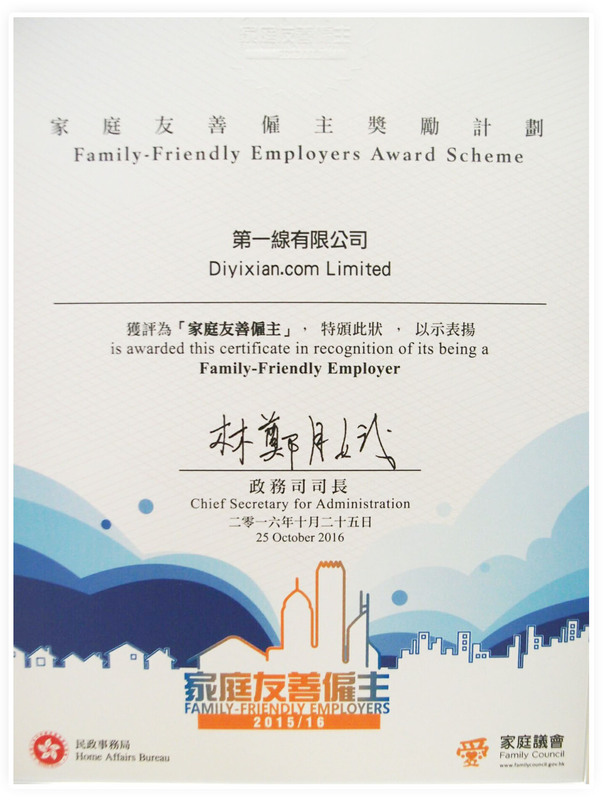 The 2015/16 Family-Friendly Employers Awards scheme honours DYXnet Group. Hong Kong Human Resources and Administration Manager Christie Pang receives the award on behalf of the Group. In fact, DYXnet holds a strong track record for developing a healthy work-life balance for employees. For example, our new head office bristles with “people” elements such as an impressively well-equipped recreation area, which combines with family-friendly policies to make our company a great place to work. 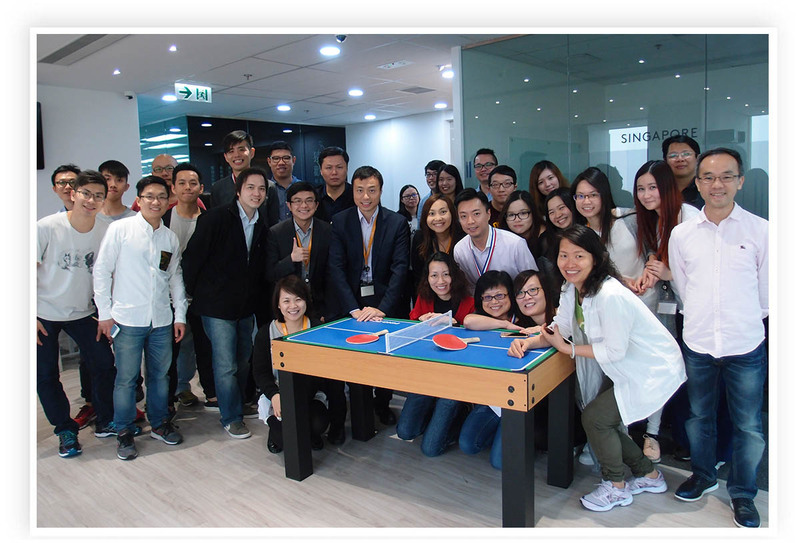 Hong Kong head office colleagues demonstrate competitive spirit in a mini-table tennis tournament. 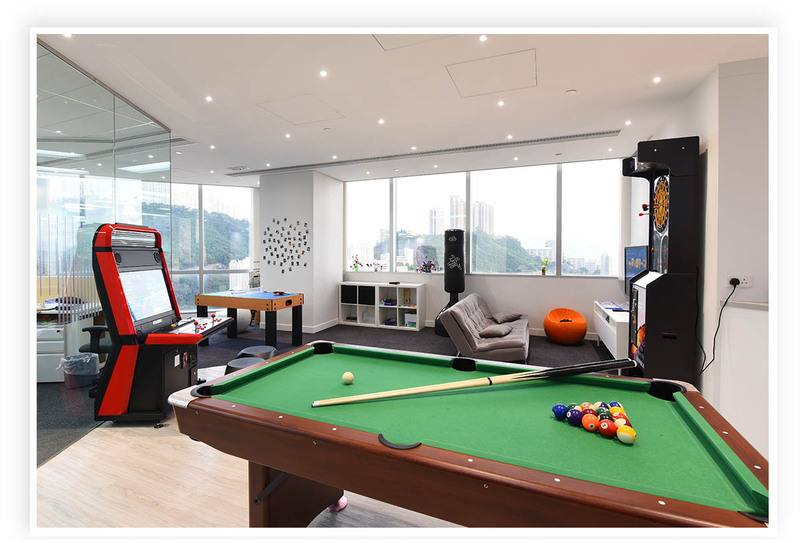 Our Hong Kong head office features fully-automated darts, billiards, a massage chair and PlayStation 4 among other goodies. 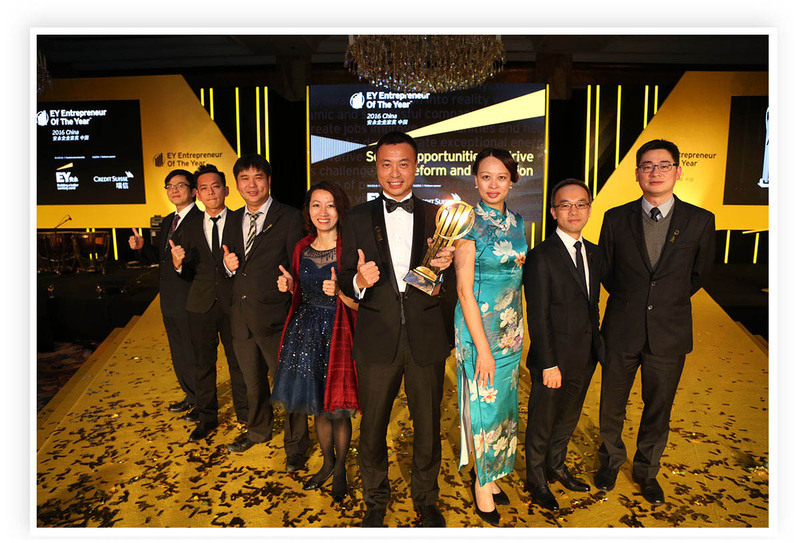 Seventeen years of investing in staff development, network infrastructure and customer service paid off when DYXnet was singled out for “Excellence of the Year for Innovation” honours among ICT providers in Greater China. The accolade came from the International Alternative Investment Review (IAIR) awards scheme, which spotlights excellence and sustainability in the global economy. 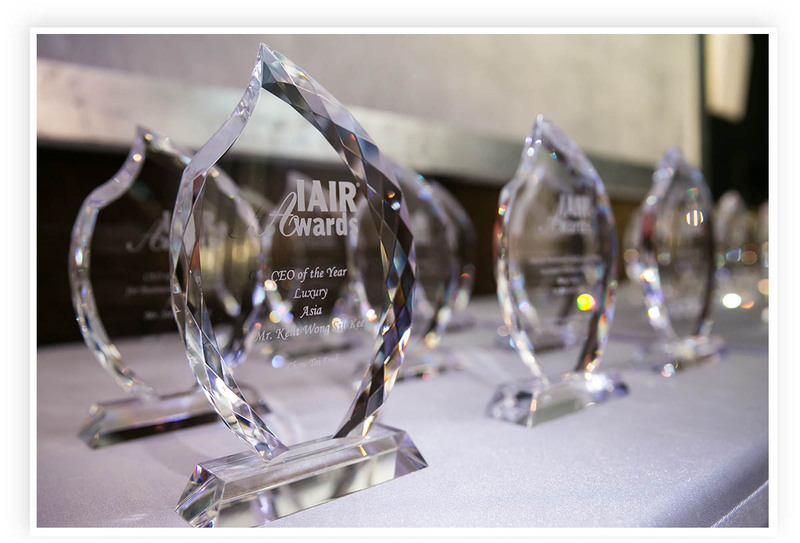 The International Alternative Investment Review (IAIR) awards scheme spotlights DYXnet’s observance of excellence and sustainability in the global economy. 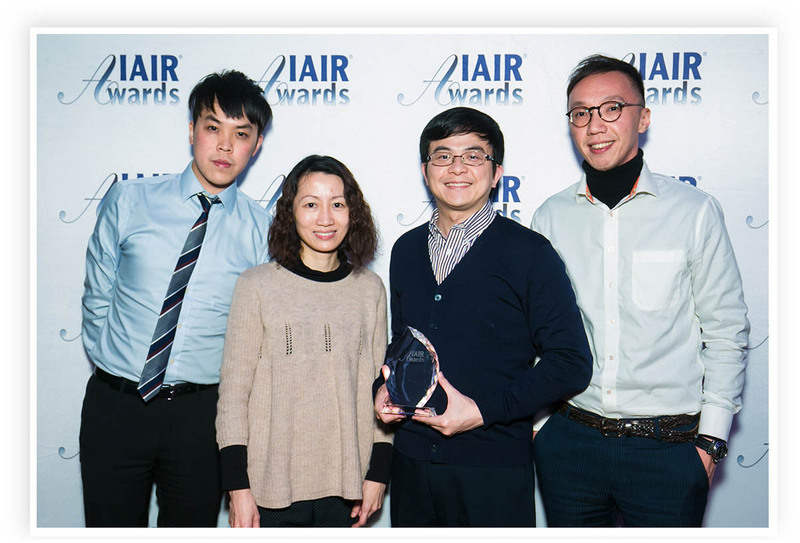 Marketing & Corporate Communications Group Director Floria Chan and Hong Kong Sales General Manager Jeremy Cheng (second from right) receive the award on behalf of the Group. 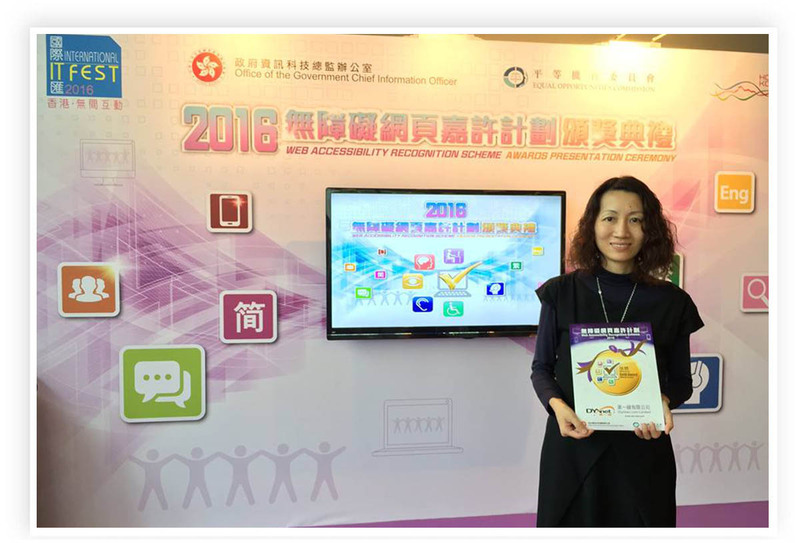 In addition, thoughtful design raised our profile in the website world by winning the coveted Gold Award in the Web Accessibility Recognition Scheme. 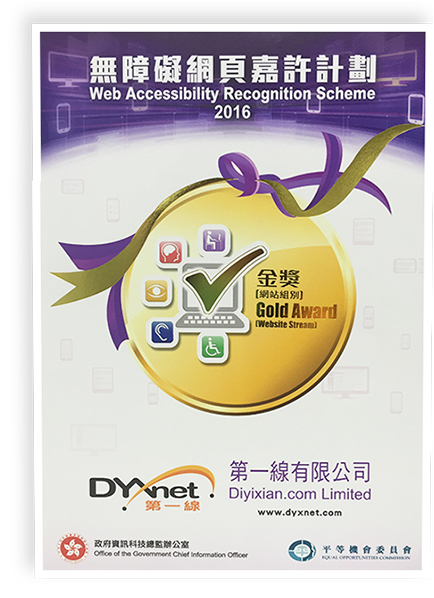 We struck gold in the Web Accessibility Recognition Scheme. Marketing & Corporate Communications Group Director Floria Chan receives the award on behalf of the Group. 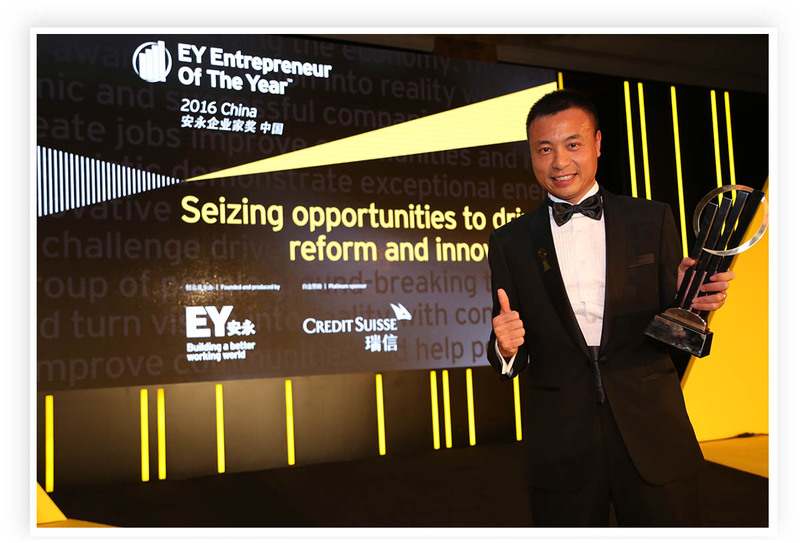 For my part, I was honoured to be named “Entrepreneur of the Year China” in Shanghai last year by Ernst & Young, organiser of the Entrepreneur of the Year China 2016 Awards (EOY). In fact, I was one of three title winners drawn from Hong Kong and Macau combined, while nine were chosen from across mainland China. I was humbled by this award and hope my EOY success will inspire more entrepreneurs to channel their natural talents into maintaining Hong Kong’s reputation as an energetic city of innovation and business acumen. 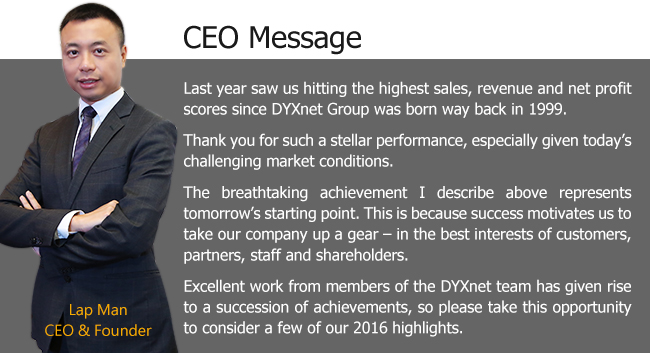 Lap Man brings honour to DYXnet by being named “Entrepreneur of the Year China 2016”. Core team members support CEO and Founder Lap Man at a Shanghai gala event. Looking ahead, the “Singing Phoenix of Qishan” is our theme for the Year of the Rooster. This is the origin of the “Singing Phoenix of Qishan” legend, which tells how phoenixes – mythical birds – sang when King Wen of Zhou was in Qishan, the Shaanxi Guanzhong area of mainland China. It was regarded as an auspicious sign for the rise of the Zhou Dynasty. “Singing Phoenix of Qishan” herald’s a new era for DYXnet as a disciple of excellence. Internally, “Singing Phoenix of Qishan” symbolises how DYXnet recruits talent and regards employees as our most precious asset. We all work together as one happy cohesive team and have celebrated a succession of amazing achievements. Now we are on course for even greater development and a prosperous future, thanks to our merger with 21Vianet. 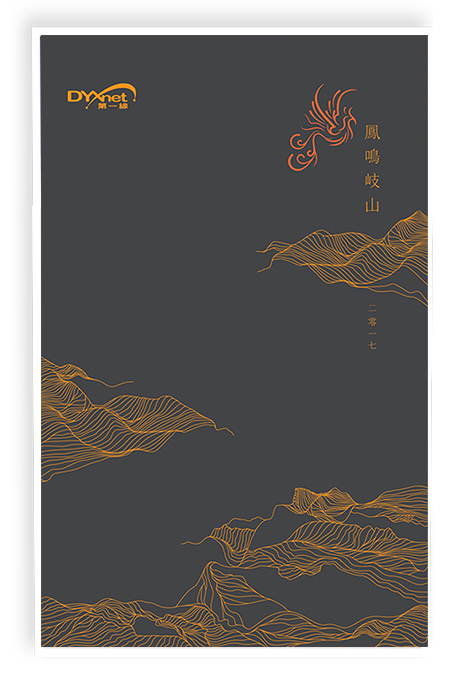 We also believe the legend of “Singing Phoenix of Qishan” serves to herald a new era. Our company is a disciple of excellence and maintains an unwavering commitment to clients and partners, so I’d like to wish everyone a bright, happy and prosperous Year of the Rooster.